One of the most breathtaking scenes in The Lord of the Rings: Return of the King, that captured the hearts of all adventurers was when the warning beacons of Minas Tirith were lit. The first beacon to be lit in Amon Din in the east signaled one colony’s plea for aid. Amid sweeping, invigorating music, the observer flows through each breathtaking moment from the time that the first warning fire on a mountain top lit up, triggering the ignition of another signal on the next peak, and so forth. For those who love facts and quantifiable figures, it begs the question, though: How many armies and troops answered the call to arms? Who paid their salaries? Who financed the tents to house them and food to keep them strong and ready to take on Sauron’s orcs, et all? When you start to look at the different figures that could be assigned to these growing numbers, it’s easy to see why usage based pricing is an ideal strategy for many businesses. You charge for what is used, or consumed. It may be gallons of oil for a fuel supplier, miles driven for an insurance company or data streamed with a cable company. Rated data is the measurement in which the payment will be determined. By aligning pricing with this measurement, you can reduce the barriers for some customers to buy your product. In other words, you can charge a portion of the product, based on usage, as opposed to charging one lump sum for the full product. Think of rating as one stop along the billing pathway. Stop 1. The first stop is the raw usage data that is generated. This might be the number of movies you download with your Amazon Prime account, or the minutes you spend talking on your mobile phone. Stop 2. Next, that data is rated. Unit rating occurs when charges are calculated based on the usage data. Each data segment is rated individually. Consider the war that was waging in J.R.R. Tolkien’s Middle-earth. What would be the cost to hire an army? Is it better to pay by the soldier? Or for each felled orc? Stop 3. In some cases, re-rating will be the third point of contact. Think of the last time you were watching your favorite show when suddenly, your coverage suddenly stopped because the transmission from the cable company was disrupted. In some instances, a customer may call the business and ask for their bill to be adjusted accordingly. Stop 4. The final step of the billing sequence is for the final data rating to be translated into an invoice and the customer is billed accordingly. Enabling customers to pay for data only when it is used, means that they can modify their usage as needed and will not be charged as much during downturns of usage. This scaling up and down not only gives them the power to adjust after a larger rate of usage, or to financially prepare when they know their usage needs will peak in the future. Billing past or future usage—what direction is best for your business? A usage-based billing system traditionally generates invoices in one of two ways. 1. Billing for future use. Many e-commerce or SaaS (Software as a Service) businesses bill for future use. In other words, the consumer pays for the product at the beginning of each billing cycle. The business is then responsible for delivering the goods or services throughout that month to fulfill the purchase. One of the most essential compliance components of this type of billing is to make sure revenue is recognized properly. In order to maintain compliance with ASC 606, this revenue is split into deferred and earned (recognized) revenue. If, for example, a subscriber pays $30 for a monthly subscription, only $1 is recognized after the first day of a subscription. Many SaaS companies use this billing method. For example, Hologram facilitates cellular connectivity for Internet of Things (IoT) devices on a global basis. Its platform charges per device and usage on a monthly basis, allowing business to easily scale as the demand grows. If you plan to bill for future use, it’s important to examine your pricing levels to ensure your customers find the value in your product offerings on each level. This can also incorporate rating for overages. For example, if you are a cell phone company that offers $59/month for a 4 GB of data, what happens if the customer goes over that data plan? Case in point: One company reports that streaming Netflix in HD on your phone means you are using over 1 GB per hour. It isn’t going to take long to blow through your data plan. With a sound metering process in place, you can automatically recognize the change and bump the customer up to the next level of pricing for that billing cycle, or charge an overage fee. Instead of billing for services provided ahead of time, this type of billing invoices for past use. This is where rating comes in because a business measures usage and then bills appropriately. One of the benefits of billing based on past usage means that all the revenue shifts to recognized revenue, so there is no need to segment anything into deferred revenue. At the same time, it can provide a challenge for businesses because there is no guarantee of payment. Predictable income, therefore, becomes a little more of a challenge. 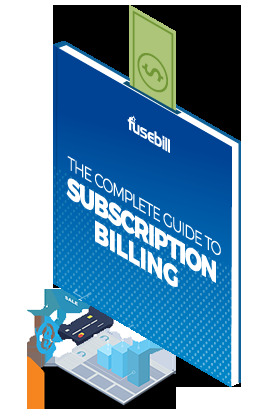 Besides telecommunications, utility companies often use this metered billing strategy. For example, your energy consumption is most likely going to vary from month to month, depending on the season and what appliances may be used to moderate inclement temperatures. By billing you for your usage and not as a flat rate, not only will your energy company ensure you are paying for what you use, but you, as a customer are also assured that you aren’t going to pay for kilowatts that you don’t use. If your business is to adopt such 'prorated' billing you only charge customers only for the time and amount of usage of a product or service. This is called a prorated charge. Proration in billing means dividing charges proportionally, usually based on a unit of time, such as monthly, quarterly, etc. Is the platform secure? Security is paramount for today’s customer. A customer will not want to subscribe your business if you cannot protect their identity and financial information. A billing platform that is PCI 1 compliant ensures that it abides by very strict security standards to ensure that credit card information that is stored with them is locked up tightly. Is the platform agile? A business that is successful with rating consumption to bill their customer efficiently needs a billing system that is equally agile and adept in accurately calculating charges from the raw data input. The billing platform should offer the flexibility to accomodate different pricing plans across varying periods of time. This platform, should ideally support a double entry ledger system so as to integrate seamlessly with existing accounting technology and meet rigorous compliance standards. A platform that also includes a self-service portal for customers to download invoices, understand their charges better, and make changes to their personal information or subscriptions saves your customer precious time and will reflect well on your business. Does the platform give your business room to scale? Every business wants to be successful, and in order to do that, it needs to be able to scale and attract more customers. Long gone are the days of a home-grown billing system, but the billing platform that best fits the needs of an agile business is one that will also maintain the same level of security and billing accuracy, whether it supports 1,000 customers or 1 million. Is the platform automated? Billing automation is critical for a successful business. If your accounting team is manually touching every invoice that goes to a customer, the probability for error is large. Additionally, an automated billing system tracks overdue or unpaid invoices, reaching out to your customers through dunning management emails. A business that employs an automated billing platform to manage its rated customers can concentrate on growing the business, versus chasing unpaid invoices. Employing a rating method to bill your customers can yield tremendous, real-time profits—but it’s critical to find a billing system that will provide the flexibility you require to capture the constantly moving pieces of raw data. Deploying an automated billing system will help ensure your business doesn’t need to light its own mountaintop beacons to summon an army for help.